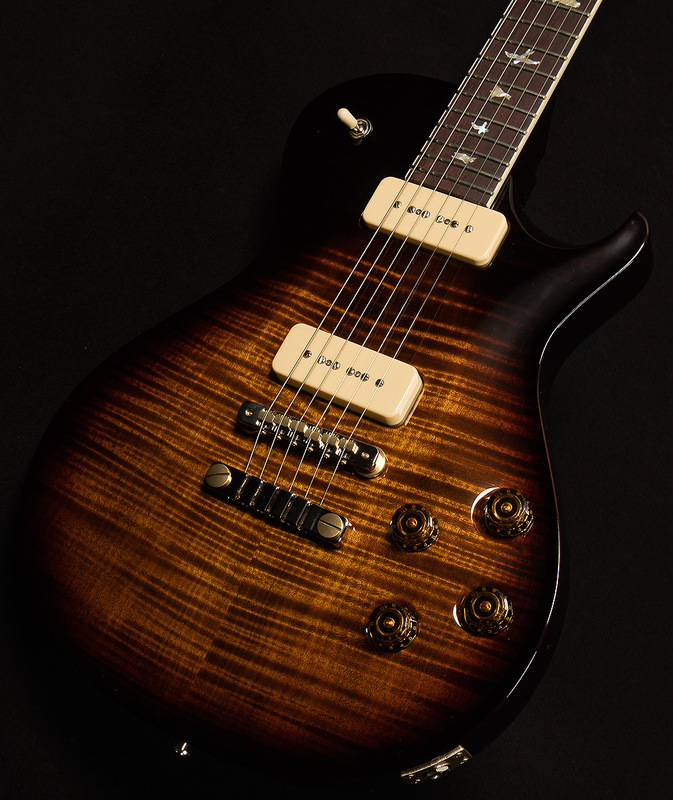 Wildwood Guitars is proud to offer the acclaimed McCarty 594 and McCarty Singlecut 594 with PRS/Seymour Duncan Soapbar pickups. 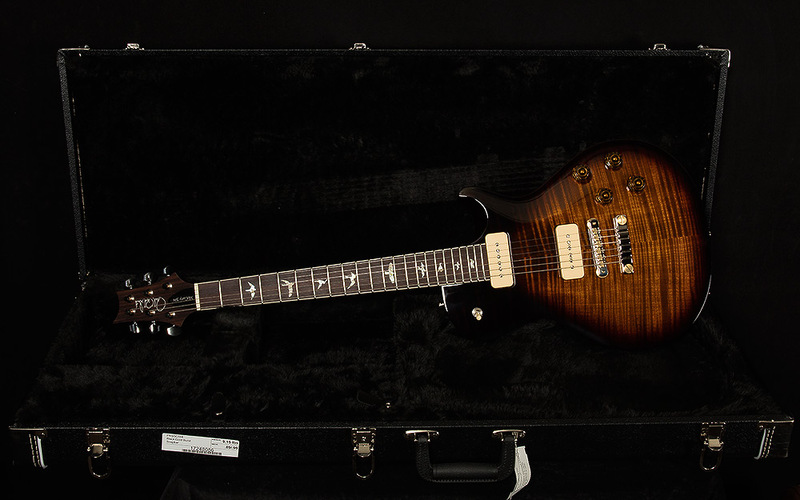 McCarty 594 models were designed to rival the best vintage instruments. 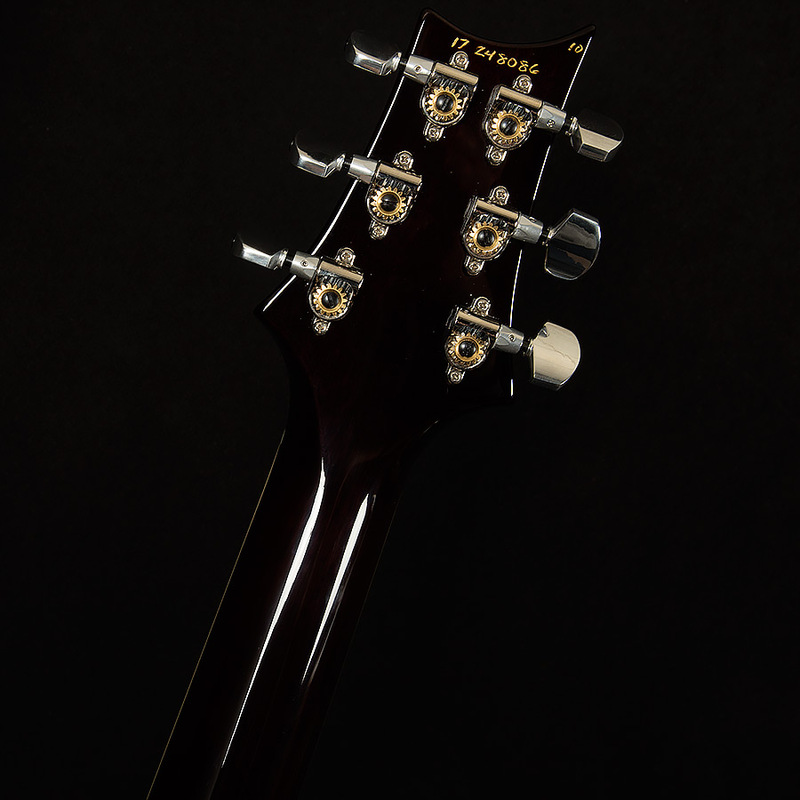 They are meticulously crafted with a 24.594” scale length, Pattern Vintage neck carve, tweaked Phase III locking tuners with modified collars and set screws, and a two-piece zinc bridge. Soapbars are one of the most classic pickup designs, and when you drop them into a design as iconic as the McCarty 594, the result is pure magic. 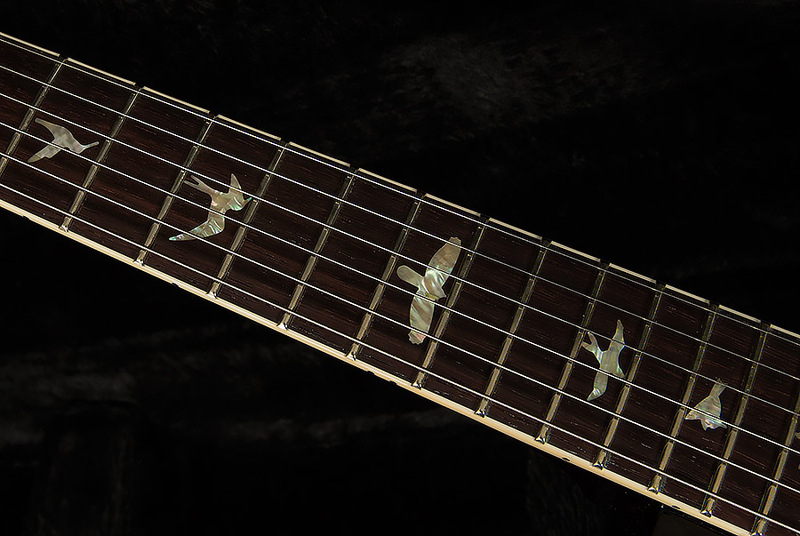 Wildwood Guitars is pleased to present this new twist on a familiar design to our exceptional customers. 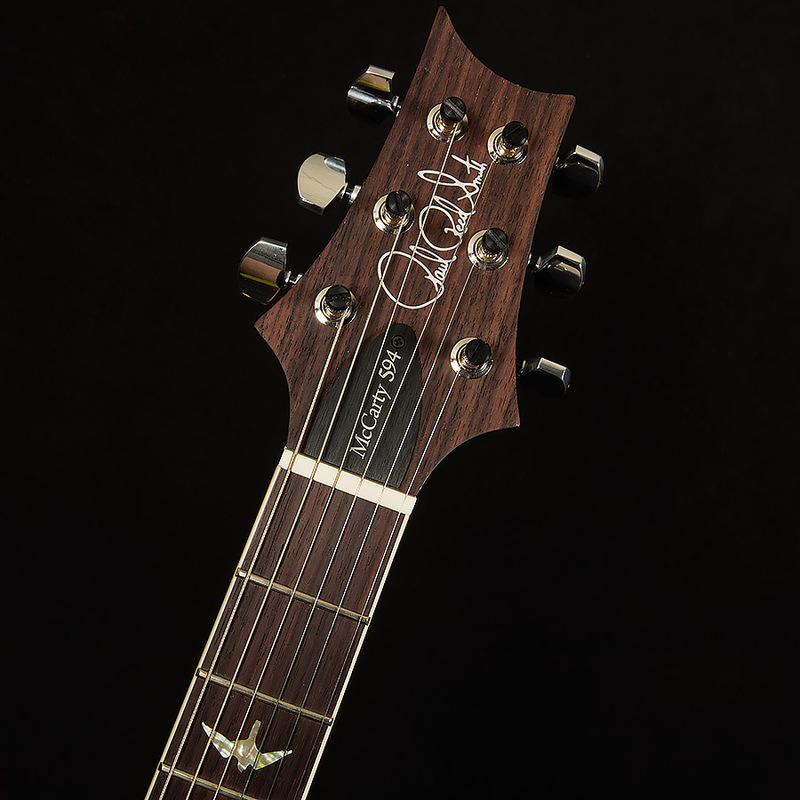 This Black Gold beauty has tone for days! The bridge pickup is awash with crystalline high-end harmonics that bloom above the tight bass and punchy midrange. Through an overdriven amp, this high-end lushness creates a gloriously crunchy, spacious soundscape that's easy to get lost in. The neck pickup has a more transparent high-end, and it has an upper-midrange quack that reminds me of a Stratocaster's neck position. Its lows are meaty, but not overpowering. 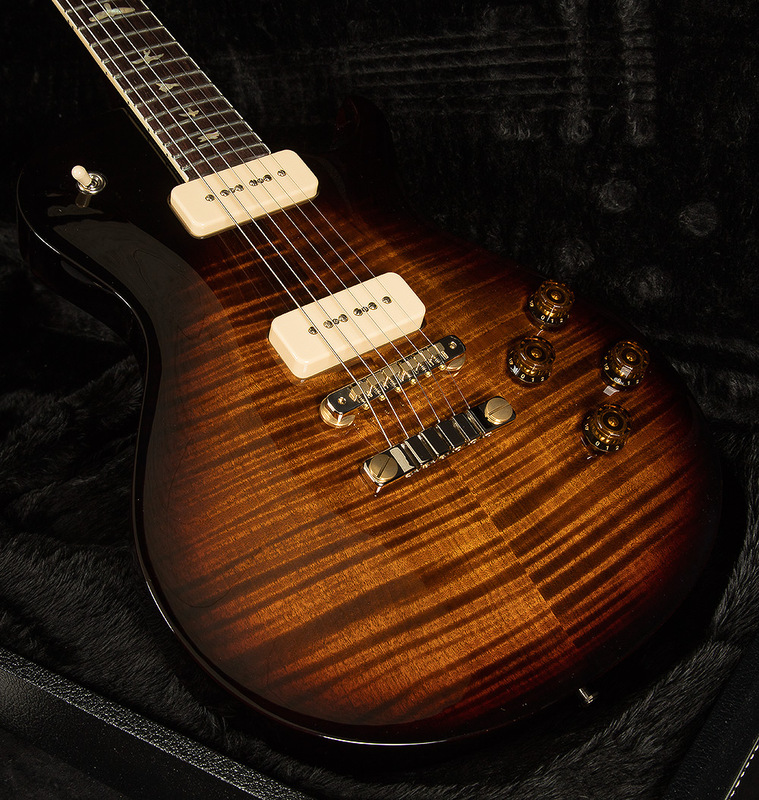 Anyone seeking a bright, huge-sounding single-cut with P-90s will love this serial!